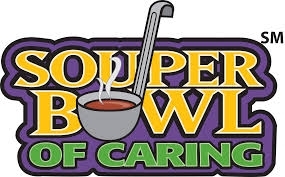 Join us Sunday, February 3rd for our soup luncheon, as we raise awareness of hunger issues and raise money to support the Delaware Valley Food Bank. What's on the menu? Lobster Bisque….Vegan and Vegetarian options….Pasta Faggioli…. fellowship. "Lord, even as we enjoy the Super Bowl football game, help us to be mindful of those without a bowl of soup to eat"